Here’s 10 Multiplayer tips for playing Halo: Anniversary online with your XBL buddies. Brings back fond memories of rockets on Battle Creek…. 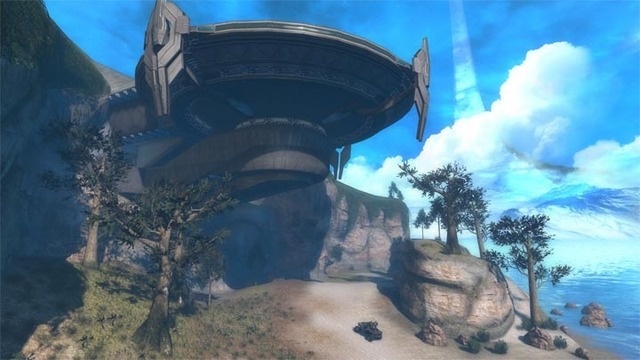 Though the multiplayer maps in Anniversary are essentially remakes of previous Halo game maps, you'll experience a few environmental tweaks to maximize Halo: Reach's frenetic combat style. Understanding these changes can mean the difference between victory and defeat. A launch-day title update will integrate Anniversary's multiplayer with Halo: Reach's matchmaking system, potentially updating everything from weapon performance to armor abilities. Follow Halo Waypoint's community forumsfor additional details. The confinement of Battle Canyon makes the Rocket Launcher the weapon of choice. When a match starts, rush to its spawn location atop the rocky column and use it for a few easy kills. and we all go home in one piece." The Jet Pack armor ability is convenient for navigating Penance's many levels. But beware: vertical flight can set you up as an easy target. Survivability on Solitary increases dramatically when you remain on the periphmeter of its close-quarters interior. While the walkways and ramps in the center might offer more maneuverability, you traverse them at great risk. The classic multiplayer map Hang 'em High returns in Anniversary as High Noon. While far more detailed and ornate, the same rule applies: maintain the high ground, preferably with a ranged weapon and effective cover. In the Firefight map Installation 04, use the Orbital Drop Shock Troopers (ODSTs) perched on the Forerunner spire to your advantage. Whether manning the gun on a Warthog or simply providing diversionary fire, their practical application should not be ignored. While playing offense in a One-Flag or One-Bomb match on Breakneck, use all avenues of entry into the defensive base. When facing an assault from every angle, defenders have little chance of success. Ridgeline's Sniper Rifles can dominate a match if wielded by a seasoned marksman. Secure the weapon early, settle in atop your team's base, and help pave a path to victory, one headshot at a time. Anniversary features Halo's intense multiplayer game types, including Slayer (kill opponents for points), Assault (bomb the enemy's base), and Capture the Flag (steal your opponents' flag).